My Von Erl Tobacco Trail by Cuttwood is the perfect kit if you’re looking for the kit with tobacco pods. 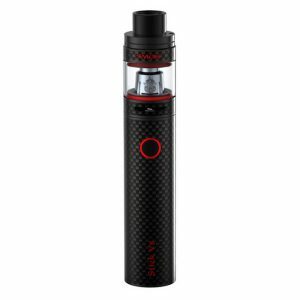 Von Erl vape brand has created a high-quality ultra-portable vaping device with an attractive look and impressive power capabilities. 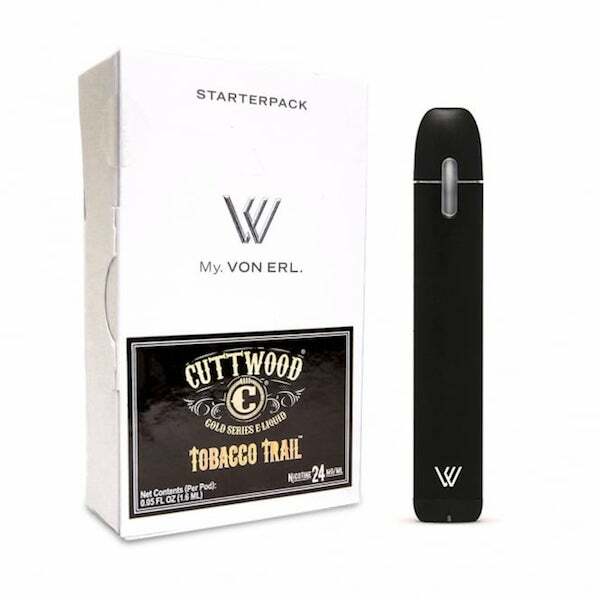 The My Von Erl Starter Kit Tobacco Trail – Cuttwood extends the category of pocket-friendly devices. Its small size allows convenient carrying throughout the day. Moreover, Von Erl brand has crafted this compact device in a black matte ceramic finish. That is why it looks classy and eye-catching. Also, elegant shape is at the same time very ergonomic. Thus, you will enjoy smooth and pleasant hand-feel. 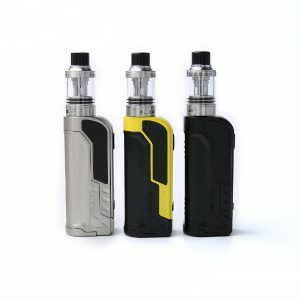 Such an attractive and convenient device will make your daily vaping experience even more pleasurable. The Starter Kit Tobacco Trail by Von Erl comes with replaceable vape pods. 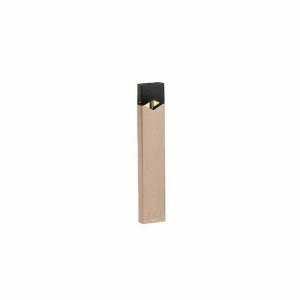 The pod has a 1.6ml capacity and is pre-filled with 24mg nicotine strength e-juice. If to speak about flavor, this kit delivers delicious tobacco flavor. 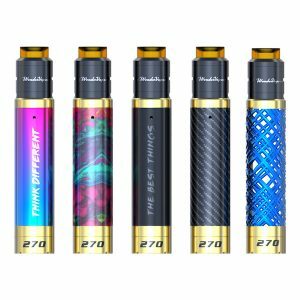 Prefer tobacco flavor vaping? Then this option will be a nice option for you. What is more, it will excite you by the ease of use. A push-fit refill system ensures no mess while replacing pods. No cleaning is needed. Convenience for your pleasure! By the way, speaking about power, the kit comes with a 350mAn battery. It ensures a great performance. Besides, LED light indicator helps vapers to track the battery life. 3 different colors show the level of charge. Charging is available via micro USB port. It is placed on the base of the device. All in all, the My Von Erl Starter Kit Tobacco Trail – Cuttwood will exceed all your expectations. If you are a tobacco flavor fan, try it now!